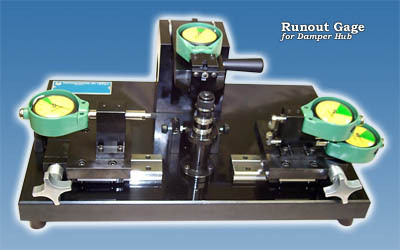 This device is designed to check four runout specifications on a damper hub. The center indicator swings out of the way for part loading and unloading. 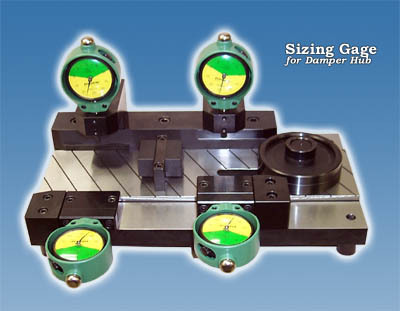 This device checks two heights and two diameters on a damper hub.